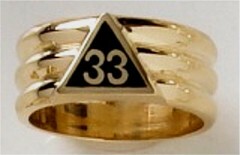 The number 33 is considered the most sacred of all numbers. the sum of the first four positive factorials. 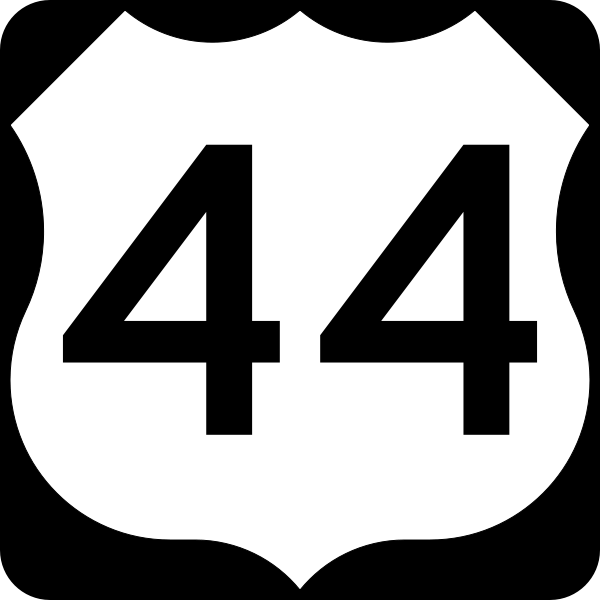 “4” being the number of foundation/physical realms. The number 33 represents wisdom in the bible. 33 or more precisely “thirty and three” are mentioned 6 times in the bible. 33 kings in the land of Canon had to be killed to receive God’s inheritance. Moses killed 2 of them (Amalek and Og), David killed the other 31. Totaling 33. Benhadad of Syria came with 32 kings in order to take over. 32 plus himself makes 33. A very old Jewish tradition, recounted by the first century A.D. historian Josephus, states that Adam and Eve had 33 sons and 23 daughters! The star of David and his two triangles, one inverted and placed on top of the other one. Two triangles each having 3 sides is 3 and 3. Or 33. There are 33 titles for the Antichrist in the old testament and 13 in the new testament. According to Jewish law laid out in Leviticus, a woman had to purify her blood and was not permitted to touch anything sacred for 33 days after her son was circumcised. The Bible contains a total of 66 books. That’s 33+33 or 33×2. The name “God” occurs 32 times in the first book of Genesis. And with God dictating to Moses, that makes 33. Lucifer took a third of the stars, or angels with him when he fell from heaven. That is 33 1/3. The 33rd time Abraham’s name is used in the Bible is when Isaac, the child of promise, is born to him when he is ninety-nine years old, OR 33×3 (Genesis 21:1 – 2). 1933 FDR put the all-seeing eye on the back of the dollar bill. 1+9 =10, the number of dominance. In 2007, the 110 Congress passed “Resolution 33” Titled “Recognizing the thousands of Freemasons in every state in the Nation and honoring them for their many contributions to the Nation throughout history. Sam Houston’s statue in Huntsville TX measures 66 feet tall (33 x 2) and weighs 66,000 LBS or (33 short tons). Sam Houston was a high ranking Freemason. The twin towers stood for 33 years before they were collapsed by the international cabal. After the trial of the OK City Bombing, Timothy McVeigh was given a stay of execution and was eventually given the death penalty after he turned 33 years of age. Pope John Paul the 1st was found dead exactly 33 days after becoming Pope. He had vowed to investigate wrongdoings in the church and clean house. A message was clearly sent. JFK was shot and killed November 22nd in Dealey Plaza. 11/22 equals 33. Dealey Plaza is also the sight of the first Grand Masons Lodge in Texas. March 30th, 1981 Ronald Reagan was shot and almost killed by John Hinkley Jr. 3/30 equals 33. John Hinkley Sr. was very good friends with George Bush Sr.
Buzz Aldrin (33-degree mason) the first man to set foot on the moon, bought with him on the mission a Scottish Rite banner/flag which was later donated to the House of the Temple …. Gordon Cooper also carried a Scottish Rite Banner/flag on his 1965 Gemini 5 orbital mission. Phoenix, Tempe, Mesa, and Scottsdale, AZ are all located exactly on the 33rd degree parallel and site of the largest witnessed UFO event in world history, known as The Phoenix Lights. On 3/3/03 the UN World Prayer Center called for everyone to pray simultaneously at 3:30 pm. The queen mother’s time of death was 315. That is both hands pointing at the 3. Or 33. During the first lunar landing, the craft made a 33-degree descent. Atlantis embarked on its 33rd and final mission, which was also the final mission of a space shuttle, STS-135, on 8 July 2011. STS-33 was a NASA Space Shuttle mission, during which Discovery deployed a payload for the US Department of Defense (DoD). STS-33 was the 32nd shuttle mission overall and the ninth flight of Discovery. The details of the mission are classified. NASA’s Cape Canaveral runway lies on the 33rd degree parallel. The runway the shuttle lands on is named runway #33 and is slanted 33 degrees west of north. Roswell NM is located on the 33rd degree parallel. The Atom bomb was developed and tested at White Sands NM. located on the 33rd degree parallel. The two atom bombs used in WW2 were eventually detonated at Hiroshima (located on the 34th degree parallel), and Nagasaki (located on the 32 degree parallel.) One each above and below the latitude of creation of the bombs. Iraq, ancient Sumeria, and Babylon are all located on the 33rd degree Parallel. The longest continually inhabited city in the world is Damascus, Syria, at 33°30’N latitude. The area where the Tigris and Euphrates rivers come closest together — allegedly the place of the earliest human civilization or Sumeria — lies at 33° latitude, in modern day Iraq. Phoenix, AZ is located at the 33rd degree parallel and is 331 meters above sea level. Phoenix, AZ is also a hive of Freemasonry. Disneyland is located on the 33rd degree parallel. 33 days in the “intellectual cycle” in the bio-rhythm. The human body functions ideally with 8 hours, or 33.3%, of sleep every 24 days. According to the Newton scale, 33 is the number at which water boils. 33 rpm on a phonograph record. invented by Thomas Edison, a Freemason. Groundhog day is the 33rd day of the year. The pope’s cassock has 32 buttons on it and his head completes the number 33. The ceiling in the U.N. general assembly room has a large circular light surrounded by 32 smaller lights. In astrology, the sun officially transitions into a new sign of the zodiac at the 33rd degree. It enters that the 30th but doesn’t totally clear until the 33rd. The ministry of Jesus Christ began when he was 30 years old and didn’t end until he was 33. Then he resurrected. The bank of America logo is three sets of eleven equaling 33. There are 33 divinities or “gods” found in the Vedas, or the Hindu tradition. Every thirty-three years the Leonid meteor shower is brightest, in mid-November. A continuous 12 lunation calendar with no intercalary periods will re-coincide with the solar year every 33 years. Thus, every 33 years the lunisolar cycle is completed bringing the lunar months back in sync with the solar seasons. The game Solitaire consists of 33 holes on a wooden board wherein the player has to remove 32 of the marbles leaving one marble in the 33rd hole in order to win the game. The prefix (Sol) in solitaire means “Sun”. The BasilHouse of the Temple (Freemason’s main lodge) has 33 columns each measuring 33 feet tall. Indianapolis Scottish Rite Cathedral Ballroom- Ballroom is a square of 99 Feet, The Dancing area has a square of 66 feet and the square white oak floor panels measure 33 inches. King Khalid Airport in Saudi Arabia 33 arches along the Royal Pavilion. Water is frozen at 32 degrees, but once at 33, it becomes water (transformation). This is an alchemical principle and it is no coincidence the 32-33 degree designation happens at this point. The measuring of heat or transformation in degrees is no coincidence. Your diploma is also called a degree and allows you to move freely within commerce in a field of your choosing, much like water can move freely above 33 degrees and is not frozen in place. The Solar Year = 365.2422414 (3 + 6 + 5 + 2 + 4 + 2 + 2 + 4 + 1 + 4 = 33) solar days or 365 days 5 hours 48 minutes 49.7 seconds. The basilica of Saint Peter in Rome counts 33 chapels. The Loretto Chapel in Santa Fe is constructed of 32 stairs with the upper landing making it 33 or (completeness). The enclosing walls around the Pyramid of Saqqara in Egypt measure 33 feet tall. On the Giza Plateau, the Great Pyramid rests on bedrock which is 33 feet higher than that of the Pyramid of Khafre. The Pyramid of Khafre also has a terrace which measures 33 feet wide. Also in Giza, the Wall of the Crow measures 33 feet high. At the temples of Abu Simbel in Egypt, the Statues measure 33 and 66 feet tall. In modern-day Pakistan at the Ruins of Mohenjo Daro, the streets around the temple and what would have been the housing for the Elite measured 33 feet across. Harappa India, the isles measure 33 feet wide in the Great Granary. The National Geographical Society founded in 1888 and modeled after the Royal Geographical Society of London, had an original membership of 33 men. Clarence Dutton (who mapped out the geology of the western United States) sat as chairman of that society. Please see The Grand Canyon Mystery. The “Tree of the Sephiroth” of the Kabbalah has 33 elements, including the whole of it and its constituent parts. The Vatican recognizes “33 Doctors of the Church. 33 Bishops make up the Irish Bishops’ Conference which is the official body of Catholics in Ireland. The 2005 “traditional Christmas greeting” was delivered from the Vatican in 33 languages. 33 members compose the “Council of the Order of the Great Orient” of France. Of the 99 Beautiful Names of Allah, the 33rd is Al-Azim “the Supreme Glory” meaning the Most Grand. In Islam, 33 angels carry the praise of man to heaven; sacred litanies make mention of 33 tasbih, 33 tahmid, 33 takbir. The Animal Kingdom is divided into 33 phyla. The raven produces 33 distinct sounds. The sun rises on the exact spot on the horizon exactly every 33 years. Mercury has an average temperature of 332 degrees. (Here we see 33 and 32) The god Mercury is a messenger god. Mercury Radio Arts was founded in 2002 by Glen Beck of the Glen Beck radio program and is a multimedia production company or a “deliverer of messages.” Still, think Glen Beck is on the up and up? The “X-33 VentureStar” is a technology program design (a partnership between NASA and industry) for a new generation of launch vehicles that would significantly lower the costs of carrying payloads into space. On the largest earth-based reflective telescope, the mirror is 33 feet in diameter. Saturn V rockets were 33 feet wide and 363 feet tall. 363/33=11. 11 is an extremely important number to occultists. The world’s largest radio telescope is the 330-meter dish at Arecibo in Puerto Rico’s mountains. Seawater pressure doubled every 33 feet of depth. Due to Earth’s gravity, a column of water can only rise up into the air 33 feet before it begins to disperse or collapse. The U.S. Geological Survey (USGS), National Earthquake Information Center (World Data Center for Seismology, Denver), lists seismic activity according to depth below surface, with –33km being the shallowest grade on their scale. Club 33 at Disney Land is the only place on the Disney Land estate that one can drink alcohol. It is also a private club and costs around $10,000 a year membership fee with an initiation fee of $25,000. The numerical/alphabetical sum of AIDS equals 33. Dante Alighieri’s Divine Comedy has three books. The Inferno is the most widely read, The second two books of the trilogy, The Purgatorio and Paradiso, both contain 33 cantos. In Shakespeare’s Hamlet, the Ghost is represented in the first scene with an entrance described in a sentence with 33 characters. And Horatio addresses the ghost in 33 characters as he leaves. In Julius Caesar, the ghost of Caesar visits Brutus in a passage that starts with a 33-character sentence, “That shapes this monstrous apparition.” Brutus recovers from the shock and addresses the ghost in a 33-word sentence. Edmund Spenser’s famous epic poem, The Faerie Queen is loaded with allegory and contained characters from Arthur, to Gloriana (Queen Elizabeth) and the Red Crosse Knight. Book 3 Canto 3 (3 + 3 = 33) opens with a 33-letter sentence: “Most sacred fire, that burnest mightily.” Spenser linked the number with the concept of a human spirit and at the same time a mirror image in the celestial realm. This concept of “as above, so below” is shared in Freemasonry, particularly speculative Freemasonry that emerged in the seventeenth century. Sir Francis Bacon features prominently in a secret society that he started while at Cambridge, as well as playing a role in creating speculative masonry from its base in craft masonry. He is believed to have written the early Rosicrucian books, as well. Oddly enough the numerical value of his name, using the Elizabethan alphabet, is 33 (B = 2, A = 1, C = 3, O = 14, N = 13). For More Studies on Numbers Please Visit the “Site Resources” page.